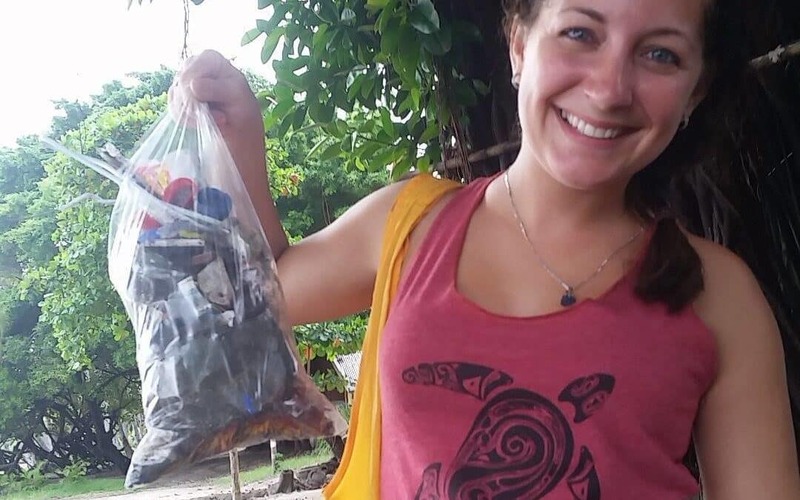 Help Keep Sámara Clean with a Beach Cleanup! Enjoy some time on the playa while helping the environment. Trash sometimes washes up from the ocean. Small items get dropped. Pieces of things get broken. Bottles, plastic, glass, and all sorts of items are there when one looks closely. It’s unfortunate, but each of us can take some time to help. Since moving our location to the beachfront in May of 2016, we have been offering clients a discount on massage in exchange for some time spent on our beach helping to do a little work while enjoying how beautiful this place is. Go out and enjoy what you are doing, take in nature, look around, and see how beautiful it is here. Allow some time for this and for yourself. Help by looking at the sand and paths and cleanup by removing what trash you are able to handle. Each person has different capabilities, strengths, and ability to help. We won’t judge. Make sure to dispose of trash in a proper receptacle. Bins for trash and recyclables are in the town near the main entrance to the beach and also in front of The Relaxation Spot where Calle Intercultura meets the sand. You can find us here https://www.relaxationspot.com/googlemaps and we are also able to dispose of the trash for you if necessary. You have a discount on your next massage! Now enjoy your massage a little bit more. You helped the beach remain beautiful, you helped the town of Sámara, and you saved a good amount of money by doing so! Not everyone has Facebook. Not everyone has a phone that works once they get to Costa Rica. No Problem. Please allow us to take a photo and post how proud we are to have you helping us keep Playa Sámara clean. Work through the first steps of cleanup and bring the bag of trash along to us. Your time is appreciated so please do what you can. This is about helping the beach first, social media second. If you are making your purchase online in our shop, first add the massage to your cart and then apply the corresponding coupon code before checkout. These codes cannot be used in conjunction with other coupons.